Running a Successful Business – What Does it Take? 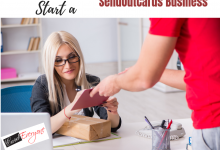 The Card Everyone Project is a real-time look at how following up with the people in your database can make your business – and how lack of follow up can break it. I’ve been an entrepreneur since 2007. Well, really since 2002. I just didn’t REALIZE I was an entrepreneur until 2007. When I entered into the land of self employment initially, I still had an employee mentality. I was raised by a dad who worked hard and was successful in his field. But his field was as an employee for American Airlines. I watched him leave for work in his uniform day after day (well, night after night actually. He was a third shift aircraft mechanic. The best of the best, and I couldn’t be prouder of how he provided for his family!) He is a man of great integrity and always displayed a passion for excellence in his career. To him I owe my strong work ethic, hands down. My mom was a stay at home mom. Before I was born, she was actually one of the first women real estate agents in Chicago. But she soon learned that her heart was with her family, and my dad supported and encouraged her to be a stay at home mom. So Dad brought home the bacon, and mom fried it up. My childhood was an amazing blessing. And they loved me even when I was a snotty teenage brat. Good times! Through my upbringing, I was taught so much. I became a strong, hard working woman with priorities of God, Family, then Business, and I owe that to my parents. But the one thing I never learned was entrepreneurship. That was a journey I had no idea I would be taking. So when I began my career as a Realtor in 2002, I didn’t have the ownership skills that goes along with running your own business. But I did bring my background in sales and marketing. So I took off running for a little while. But without the Business Owner mentality, it was just a matter of time before things started to crumble bit by bit. So I took a hiatus from self employment and went to work as a Special Operations Manager for a Fortune 150 company. Oddly enough, it wasn’t until I was rocking my corporate job that it hit me – I’m not really cut out to be an employee. When I stopped being a business owner is when I realized that I was born to be an entrepreneur. Guess that old saying is true: You never really know what you have until it’s gone. In 2007, I gave my notice, had a “Changes” party, and moved back to the land of self employment. And this land – it’s got some pretty rough terrain when you first move there. And no matter how long you live in this land, you WILL encounter some rocky roads and potholes from time to time. But the air is somehow easier to breathe. But not until you figure out the best way to navigate the roads. OK, OK, you can tell I’m in real estate, what with all my “live here” metaphors. Enough of all that. Today I enjoy being the owner of a successful business. My real estate team is a top producing team in my market. And I still coach real estate agents and small business owners in their marketing and follow up systems – and that’s been a success as well. I’ve been at the bottom, and now love being at the top! And having gone through all the struggles makes the success that much better. 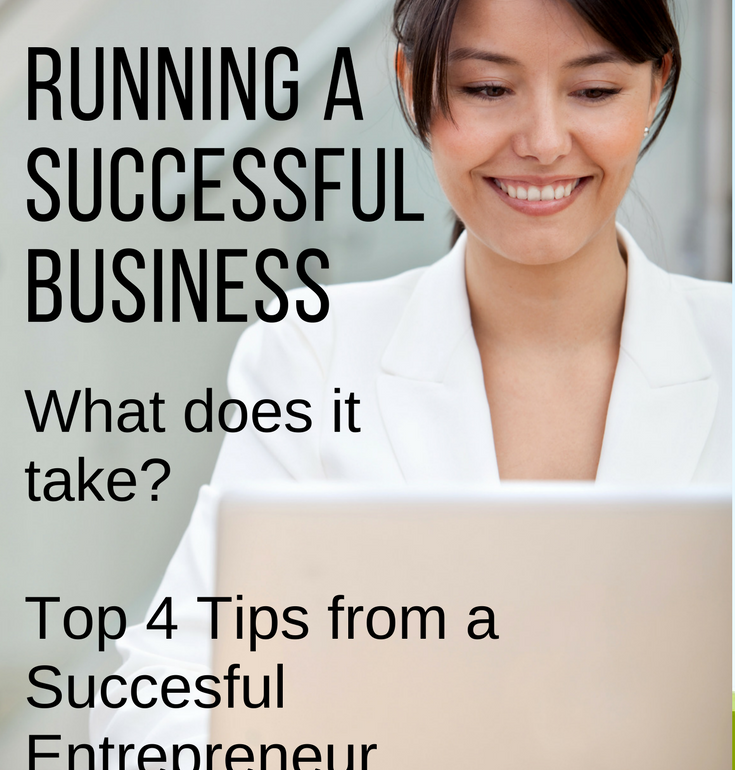 So here are my top 4 tips on running a successful business…. Be Madonna. Obviously I don’t mean you have to be a literal Rockstar who wears cone-shaped bras. But take a look at Madonna’s career. How did this woman who used to wait tables and dance as a showgirl turn into one of the most iconic women in the 80’s – and HOLD that title for the past several decades? Reinvent yourself time and time again. You can’t get stale! You have to stay relevant. If you find a formula that works and launches you to success, that is AWESOME! But if, once at the top, you simply keep doing what you’ve always done, your success will fade away. If you look at Madonna’s career, that’s what you see. A woman who made it. Then after a few years, she re-made it. Then a few years later, she changed it up again. And again. And again. You get the picture. Be willing to do the same thing. That doesn’t mean you have to switch careers completely, or even your messaging. But it does mean that you will want to get creative and repackage your offerings from time to time. It also doesn’t mean trying to be “different” than everyone else who does what you do. In the end, different may help you stand out, but it doesn’t necessarily bring more money to your bottom line. Bringing VALUE to your customer, now THAT will increase your success. So don’t be afraid to get creative when you’re thinking about that next reinvention, that next repackaging, that next campaign. Getting stuck in a rut can make you yesterday’s news fast. Being ready, willing, and able to reinvent yourself will make you a Rockstar in your industry. Don’t Be Perfect. Stop striving for perfection. Trust me on this one, this one thing can mean the difference between skyrocketing to success or never even getting off the ground. Obviously, we all want to put our best foot forward. And we SHOULD go for that. But your “best foot” is NOT perfect. How do I know that? Because NOBODY’S is! That’s right – there’s no one out there doing it perfect. Perfection is an illusion. An illusion that will keep you down until you choose to see it for the facade it really is. I can’t tell you how many times I’ve been B-R-O-K-E because of my need for perfection. Early in my real estate career, I wouldn’t work with more than a couple of clients at a time. Because I wanted to give them “perfect” service. But that’s not even possible on the best of days. So what happened? I soon found myself struggling because I had SO much riding on each transaction. So when a few fell apart (and there are ALWAYS deals that fall apart in real estate) I found myself with no money coming in. Not fun. I launched a business called the Strong Single Mom Network. It “thrived” for a while, but not really. 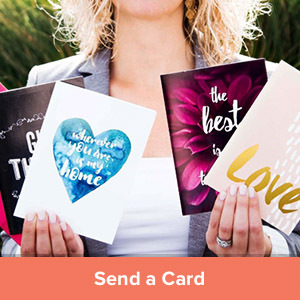 Because my business was aimed at single moms, I never felt I was giving them enough value. So I grossly undercharged my advertisers. In the end, my need for perfection turned the entire project into a hobby instead of a business. We still have a thriving online community that I maintain out of love. But really, the women who connected with the Strong Single Mom Network would’ve been MUCH better served if I had let go of my perfectionist expectations and instead went with the offerings I had. Because then I would have MADE money, and that business would have thrived. Which would mean I would have had more money to pt back into finding more resources, etc. Once I let go of my perfectionist tendencies, THAT is when I was able to skyrocket my business to success. 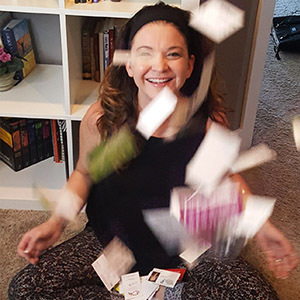 When I realized that I would mess up, make mistakes, and that I would be okay, I was able to truly serve my clients to the best of my ability. Maybe that sounds like an oxymoron, but it’s not. So don’t let the pursuit for perfectionism sabotage you in your pursuit for success. Don’t Stop. If you have a passion and a drive for what your business has to offer, hold on tight and don’t let go. Things WILL get tough, I can promise you that. But for every hurdle you overcome, there’s an amazing reward waiting for you. EVERYTHING in life that’s worthwhile gets hard before it gets easy. Your success isn’t determined by your ability to stay standing. It’s determined by your ability to get back up every time you get knocked down. Most importantly, focus on your habits. Running a successful business isn’t about that one big idea, that one big moment, that one big push to get yourself up and running. Running a successful business lies in your daily habits. What are you doing day in and day out to move your business forward? 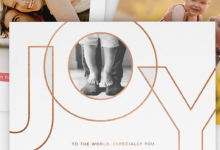 That’s a big part of the Card Everyone Project. I’m making phone calls to people I’ve connected with at some point in the past. Whether or not these people remember me or choose to do business will be a fun thing to track in this blog and through my vlog. But one KEY thing for me is this – I’m recreating a HABIT. A habit of making follow up calls to clients and prospects. A habit I used to be amazing at, and one that holds a lot of credit for the success I’m experiencing now. The thing is, I’ve been so busy (yay…that’s a good thing!). But at the same time, I’ve gotten relaxed about some of the habits that have led me here. And making follow up calls to clients and prospects is one of the biggies. So take a look at your daily habits. 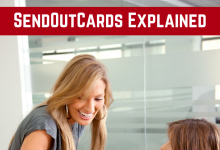 Are you time-blocking your calendar and making client calls? 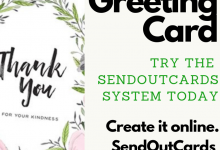 Are you sending out thank you cards for every referral that comes your way? Are you staying on top of emails? Are you taking small actions daily that are necessary in your business? If not, change your habits. This is a lesson that REALLY hit home with me when I read the book The Slight Edge by Jeff Olson. If you need some help shifting your thinking about your habits, then read this book. You’ll be glad you did. Those are my top 4 tips on running a successful business. I could’ve given you the typical “make a plan,” “be ready to adjust your plan,” “know your Unique Selling Proposition,” etc. And while I think that all of those are good things, they will ultimately mean NOTHING if you’re too stuck in your perfectionism to put them into motion. Or if you stop because it gets too hard. Or if you DO those things, find some success, and then forget to reinvent yourself. Or if you just don’t have the right daily habits to bring all your planning to fruition. Done is better than perfect! Great tips. I love the depth of insight you have offered here. I enjoy learning about what motivates people and hearing your story was really interesting. You are so right about trying to attain perfection! It’s a struggle for even the largest of businesses. Great article!